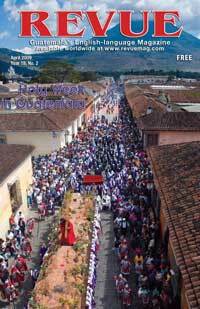 As the spectacular photograph by Byron Ortiz on our cover this month demonstrates, La Antigua is a great place to be for Holy Week. But Semana Santa celebrations take place throughout Guatemala with beautiful processions and intricate alfombras (carpets) to be found from Guatemala City to Quetzaltenango to the Lake region. This year in the Revue we highlight some of these celebrations in pictures and words. We spotlight two towns on Lake Atitlán, San Pedro la Laguna and Santiago Atitlán, with some lovely photography by Victoria Stone. Harry Díaz has captured some great shots from Xela, and throughout the magazine you will spot some excellent photos of last year’s celebrations by one of our favorite contributors, Leonel Mijangos. 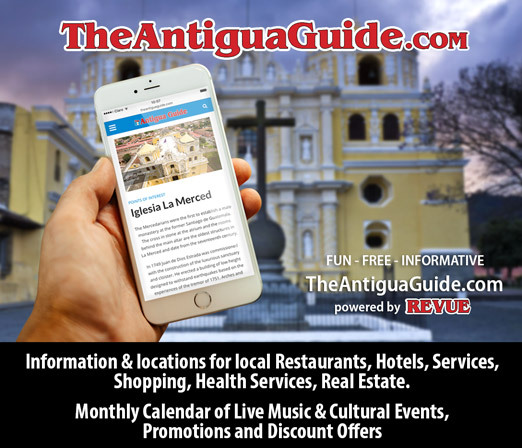 While it’s true Holy Week is a big part of what’s happening in April, there are a number of other events that merit your attention. Our DateBook section starting on page 24 will guide you through the art exhibits, theatre presentations, music nights, workshops and conferences so you can have as much fun as possible. Also in these pages you can read about a couple of books that are hitting the stores this month: Elizabeth Bell’s third edition of Lent and Holy Week in La Antigua and Nazarenos de Guatemala by José Carlos Flores L. Check your local bookstore. 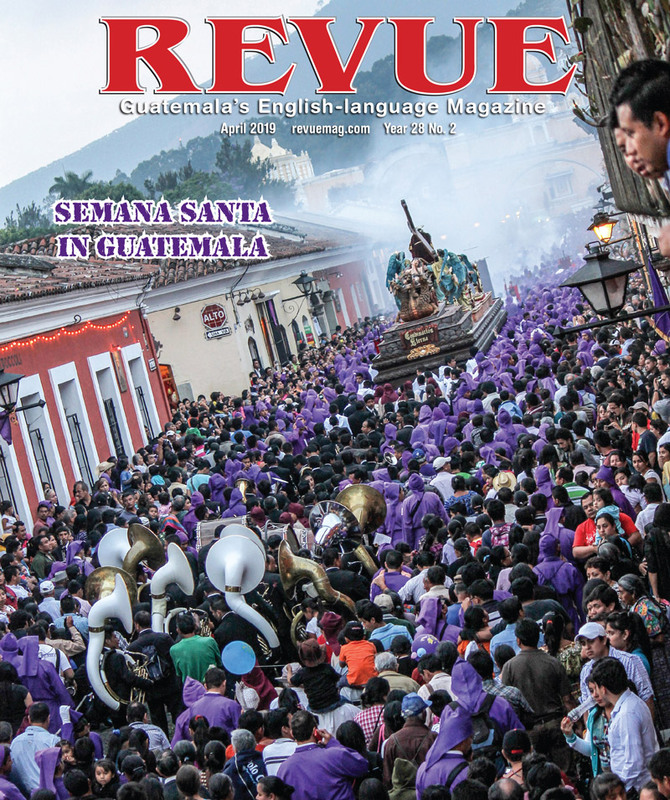 Other topics included in this issue: People and Projects, cicadas, Guatemalan mountain climbers, the Museo de Santiago, children’s toys and the size of tomato paste cans in the stores. And, of course, as always, we can help you on where to dine, shop, rest, relax and get around in this beautiful country. May your April be full of joy and celebration, and thanks for reading the Revue. I would very much like if you could help me find the name of the newspaper that, apparently, used to be published in Antigua, Guatemala. birthday on 7th September 2009. He would love to be able to receive a copy of this edtition. Maybe you could help me with some address, name, etc as I do not speak Spanish?